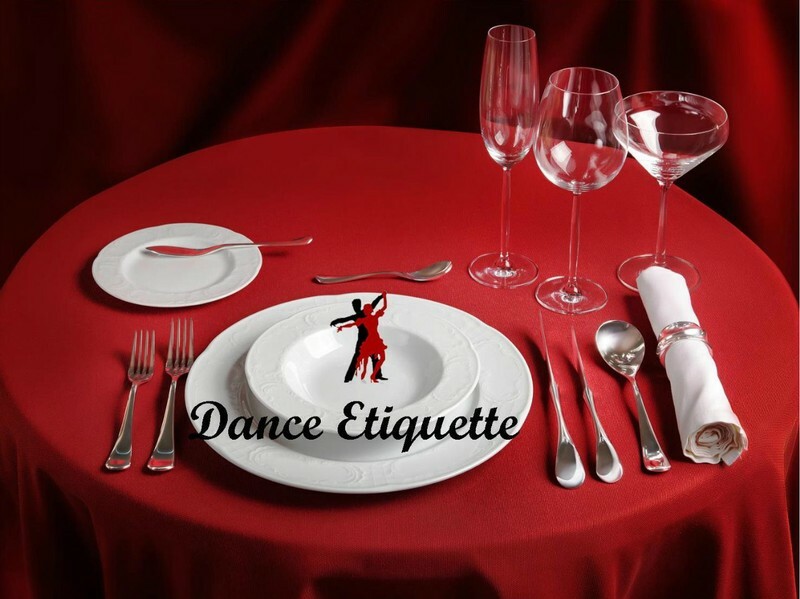 Dance Etiquette is the set of conventional rules which govern the social behavior of dance by its participants. Such rules include the way in which the participants should look and the way in which they approach, dance with and leave their partner. - Tired, injured or do not know the dance. - Promised this song/dance to another person. - The person asking makes you very uncomfortable or is offensive? If you have just turned someone down, don’t get up and immediately dance with someone else. 3. Dance at your partner’s level. Followers, don’t be hard on the leaders. If they are simply performing steps, then they’re still learning and trying to figure out what’s next. Leaders should strive to make their partners comfortable and help them to enjoy the dance. This mean being sensitive to their likes and dislikes. It isn’t difficult to determine what those likes and dislikes are, but if in doubt it is ok to ask. 4. Physical closeness: Whoever wants to stay furthest apart decides how close you are when you dance. No inappropriate contact on the dance floor. 5. Don’t force a turn that isn’t working. Doing so is not only uncomfortable for your partner, but could lead to an injury. 6. Never blame your partner for missteps. Leaders if the follower didn’t do what you expected, this may mean you didn’t lead it properly. A good Leader takes responsibility for moves that don’t go as planned. 7. Don’t teach while dancing, unless requested to do so by your partner. 8. Followers, if you are dipped, don’t drop your body weight on your partner, you should support your full weight. Leaders, don’t dip or do a trick with someone you don’t know without asking them first. 9. Always apologize if you bump into someone or step on their feet. Whether or not the other couple was in the wrong, it’s just good manners to apologize. 10. Smile, make eye contact. 11. Thank your partner for the dance at the end of the song. 12. At the end of the dance, walk your partner off the dance floor. 13. Don’t block the flow to the dance floor. 14. Dance with a variety of partners. Remember, that somebody danced with you when you were just a beginner - “Today’s beginners will be the good dancers of tomorrow”. Brush teeth and use mouthwash, gum or breath mint. Refrain from foods that produce strong odors. Cigarette/Cigar smells on clothing or one’s breath can be very unattractive.